We are a small hobby breeder. We do this for the love of the breed and for the enjoyment we get from it. 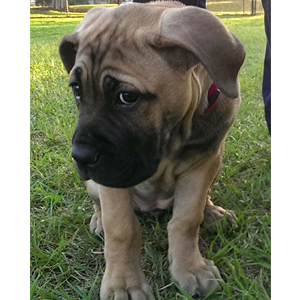 We do not breed Cane Corso for any monetary gain as the fees we charge for our puppies do not exceed all the cost involved with producing a quality litter….. All of our dogs live in our home and we have outdoor facilities for them to run and enjoys the outdoors. All of our puppies are vet checked, vaccinated, micro-chipped, and have health certificates. We give a written health guarantee with our puppies and offer lifetime support. We only breed even-tempered Cane Corsos that are raised alongside children ranging from toddlers to teenagers. Our dogs received professional obedience training and some have even gone on to become service dogs. Our puppies are bred to have excellent temperament around your family and friends while still being able to protect your home from intruders. We work hard to provide loving Cane Corsos to families who appreciate and love the breed. Our dogs are well cared for and health tested . We also DNA register our dogs so you can be assured the lineage is 100 percent accurate. We look to meet the breed standard within our breeding program. We aim to produce big head large bone Cane Corsos. 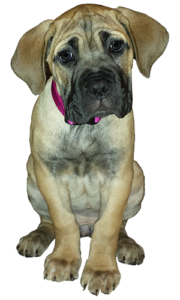 We prefer to breed and produce dominant gene Cane Corso that produce only dominant colored litters. We will consider the pedigree when breeding a Cane Corso affected with the dilute gene (blue coats) to ensure against multi-generation dilute gene breeding which can lead to health issues. We believe it is best to breed a dilute gene carrying Cane Corso back to dominant colored Cane Corso in order to keep good pigment and coats in the breed. We do not breed dilute to dilute because doing so will only produce an entire litter of dilute colored dogs that have less pigment than their ancestors. We want all our puppies to have the best start in life. 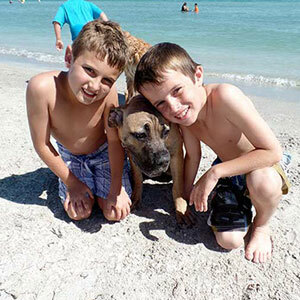 Cane Corsos are loyal and protective… and a loving family member. 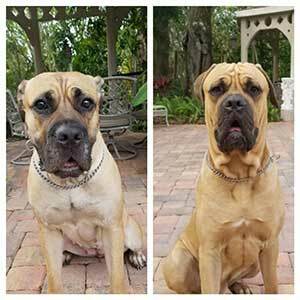 King Rex and Cara di Siciliano puppies are coming soon.